If you’re seeking direction for a colour update to your interiors this year, Pantone’s colour of the year is always a good source of inspiration. 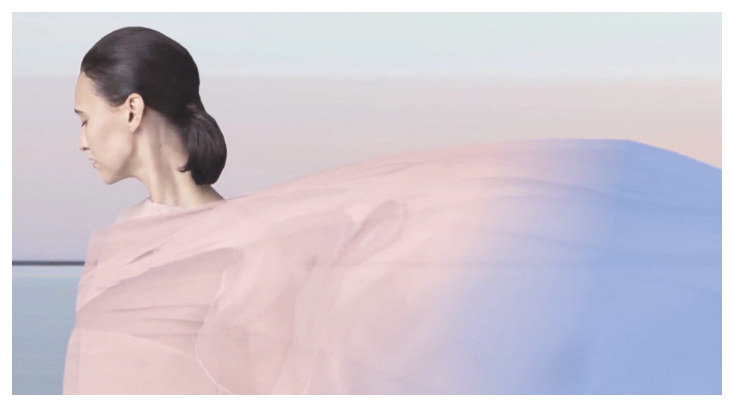 Pantone, the world authority on colour, released not one but two shades for 2016 they predicted would capture and influence the world of fashion, interiors and design. The joint colours, Rose Quartz and Serenity, are said to combine to reflect a soothing palette to create warmth and peace. “As consumers seek mindfulness and well-being as an antidote to modern day stresses, welcoming colours that psychologically fulfil our yearning for reassurance and security are becoming more prominent. “Joined together, Rose Quartz and Serenity demonstrate an inherent balance between a warmer embracing rose tone and the cooler tranquil blue, reflecting connection and wellness as well as a soothing sense of order and peace,” it says. To bring Rose Quartz and Serenity into your home, you may start with small accent colours through accessories in your living area. A blush-coloured vase with a bunch of fresh hydrangeas would work perfectly. When used as paint colours, Rose Quartz and Serenity can be styled to reflect a vintage look to update a 1950s kitchen for example, or can be paired back with timber and metallic accents for a more up-to-date, contemporary room. Although these colours are most attractive, and we have used them with delightful effect in previous years, at the end of the day it’s best to choose colour or colours that suit your individual projects and taste. If you’re starting from scratch you’ve obviously got more options. As always, if you would like to adopt this or any new ideas into your home, our Beadles interior designers are only to happy to offer the expertise and advice to manage your project. 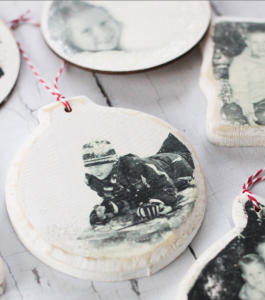 If you love your home, you’ll likely love adding hand-crafted, personal touches for Christmas. Creative, personal additions can be inexpensive but still look chic in the home, whether it’s a craft project or simply bringing Christmas-theming in through your homewares. Here are some innovative ideas we’ve found to inspire you. Transfer your favourite family photos on to wooden shapes to create Christmas tree ornaments. Follow the instructions in the link above. The key ingredient for the project is matte gel medium, which is available at OfficeWorks or Eckersley’s art supply store (also available for online order). 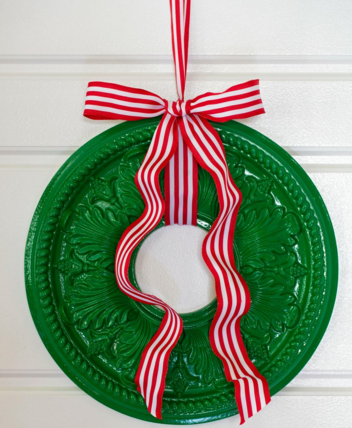 Simple but so effective, simply paint a plaster ceiling medallion in high-gloss green spray paint, let it dry and loop some red and white or Christmas-themed ribbon through to create a colourful feature for your front door. This project is via hgtv.com. 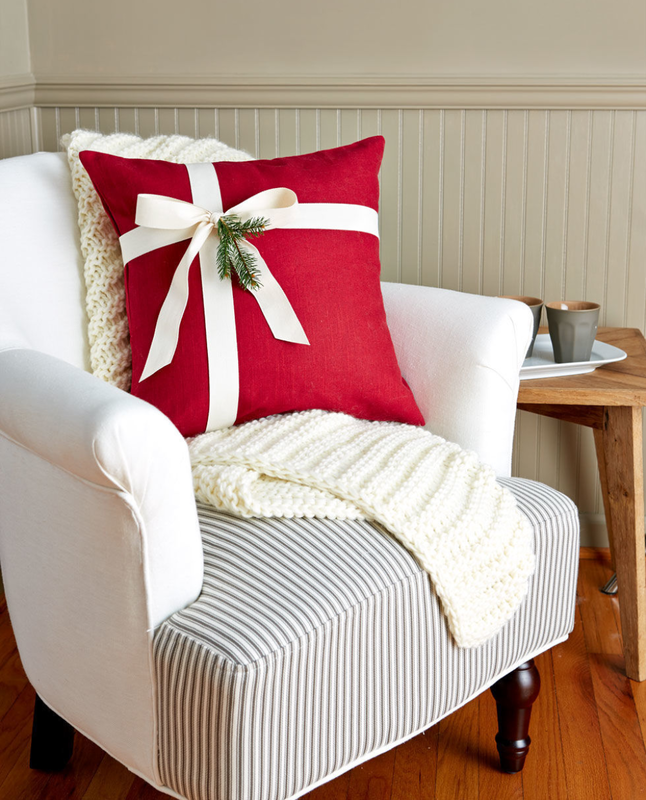 Possibly the easiest project you’ll ever undertake, tie a white ribbon around a red cushion cover, or add a Christmas-themed ribbon to your existing cushion covers, and add a trim of evergreen, a candy cane or Christmas ornament to add a festive touch. A quick and easy Christmas update. With the myriad choices in children’s room décor available, the world is your oyster when it comes to creating an outstanding room. Whether they’re young or older, a kid’s room is their haven; not only a place to rest but to create, play and develop their own personality and preferences. Beadles can source an incredible range of wallpapers, fabrics and furnishings for your perfect room. Because we stock many ranges exclusively in Toowoomba, you have access to the largest selection of fabrics and wallpapers as well as expert designer advice on hand to offer insight and inspiration. We can also assist with custom furniture enquiries and anything else design-related. Take your inspiration and make it a reality with these top tips for children’s room design. A cohesive theme is as important in a kid’s room as any other room in the house. Whether you stay with a consistent colour or create an overall theme, this will help guide you in purchases and can mirror the personality and preferences of your child in wonderful ways. For a sophisticated and more timeless take, steer clear of commercialized licensed products like Disney as themes and opt instead for a theme of travel, animals, aviation, butterflies or spots and stripes. When selecting colours, avoid anything that can create anxiety such as bright red. Kids love to see their things on display, but some things are neater packed away. Shelves and nooks for their favorite things are fantastic for frequently used items and favourites but for a lot of toys, blocks etc, you’ll want to pack them away so solutions such as storage ottomans and toy boxes can be a great addition. We’re sure it’s no surprise for parents to hear that kids develop their own likes and dislikes very young. If you find your child wanting to select what they wear each day, chances are they’ll voice their preferences for room colour and pieces when asked as well. Wall art such as removable wallpaper or decals are a non-permanent fix if you’re looking to dip your toes into a trend or theme without the long-term commitment. Of course, the final decision rests with you – remember any larger purposes need to last years so only you can be the judge as to whether your child will grow out of a preference for jungle animals or trains, but working with their ideas will help make the room a happier haven. Blue is the new black in interiors. Better than that, tones of blue have such timeless appeal it may well be one of the most universally appealing colour schemes you can try. A strong blue theme in a room doesn’t need a lot of other colour. The impact of the mass colour is often stronger than anything that can be achieved by introducing contrast tones. The one exception to this is with flowers and greenery which can really pop against the blue. Different shades and textures of blue make for an interesting room, while adding a neutral sofa or timber furniture can add depth to the look. White ceramics also brighten an otherwise darker room. Once you have created your blue room base, the look can be adapted as you like to a nautical theme, traditional or as a backdrop to a blue and white china collection. 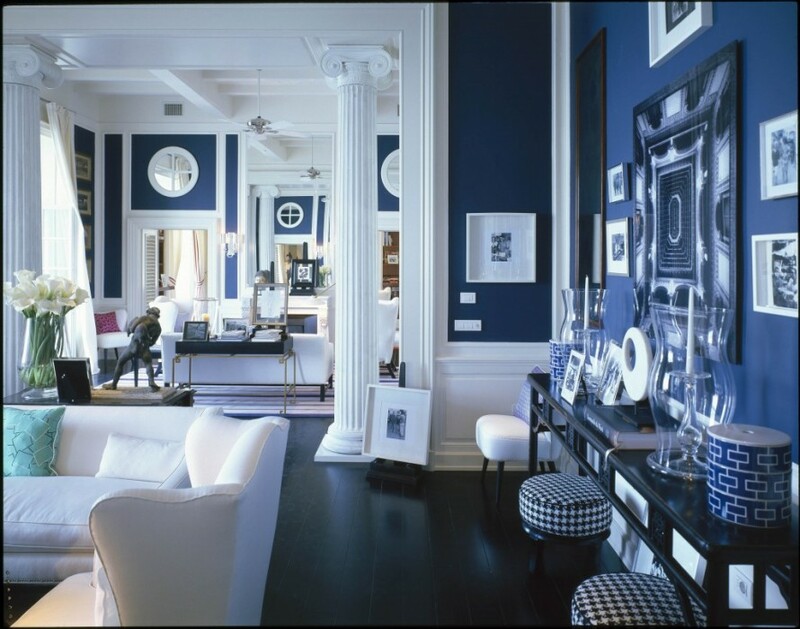 Many feel blue creates a positive psychological effect and evokes feelings of contentment and relaxation. As always, our expert interior design team are happy and available to give you advice. Visit the Beadles showroom to discover how best to employ this stunning colour. When it comes to picking a colour scheme for your home the options are endless. However, one theme that never seems to go out of fashion is classic black and white. The combination is popular for good reason: it’s a timeless option that can be bold and dramatic and provides a base for the introduction of a contrast colour. Red is a common choice when pairing with black and white, however there are a lot of ways to mix colour into this monochromatic palette. Black and white with a splash of yellow can look fabulous, as can a hint of turquoise, bottle green, or even purple. We advise against pastels, as they don’t tend to work well against the harshness of black and white. When working with an accent colour, blue for example, you can incorporate multiple shades of colour, but try to keep the tone similar so it doesn’t look too much of a mish-mash. 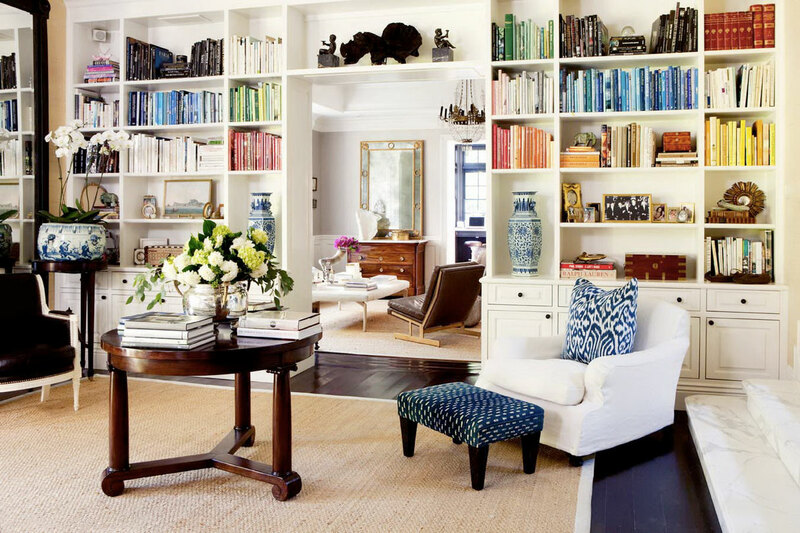 Opt for clear blues or pale blues for example, rather than a combination of both. A great way to introduce additional colour without the full commitment required for paint and wallpaper is with accessories such as cushions, ornaments, vases, plants and flowers. It’s important to note that not every piece in your space needs to conform to the same colour combination. 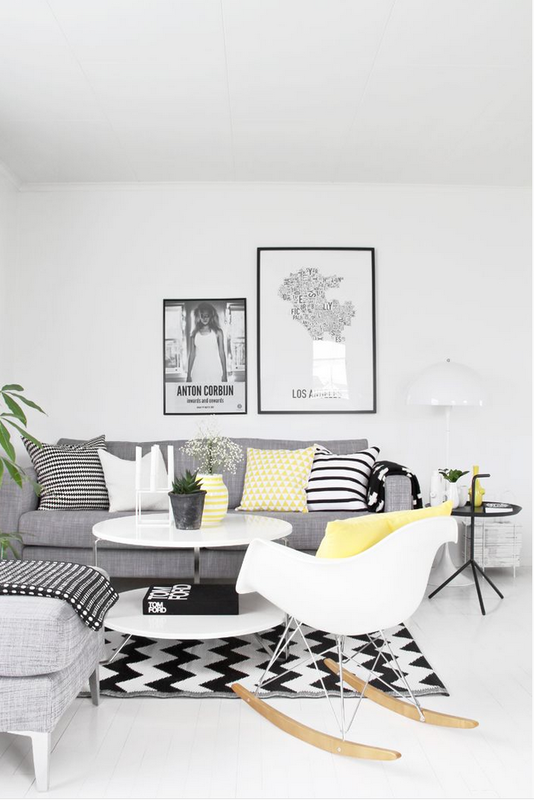 There’s no need to have every table, chair and cushion in both black and white. Try using solid black chairs and a solid white table, or touches of metallic or timber to break up the colour. 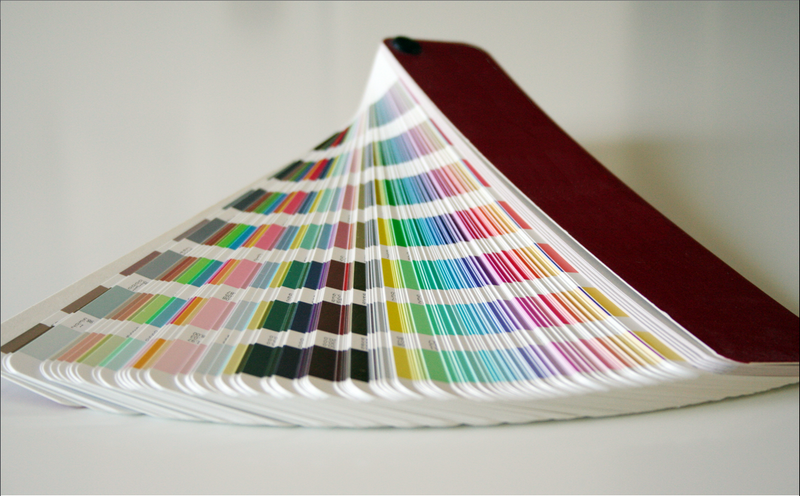 As always, our expert team are happy and available to give you advice on everything colour and design related. Visit the Beadles showroom to discover how best to employ classic black and white. Spring has well and truly arrived and with it comes the perfect opportunity to freshen up your home. With the warmer weather, it’s a time when many people turn their minds to entertaining and iconic events such as racing’s Spring Carnival. Both literally and metaphorically a “spring clean” is the perfect way to shake off winter and make your home new and exciting. We suggest you start by dusting off the cobwebs and giving your windows a good clean. This allows the spring sunlight in and adds colour and freshness to the home. 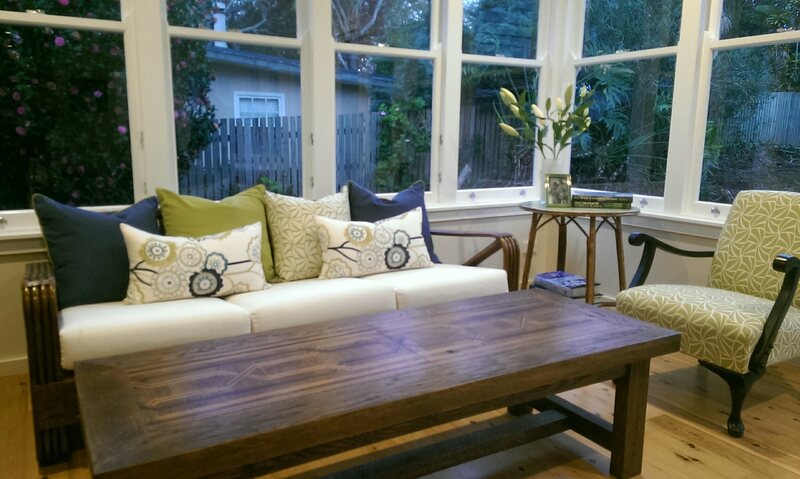 Look at your summer entertaining areas and decide if they need an update. Re-upholstering can make a big difference in this department by giving tired furniture a new lease on life. This applies to both indoor and outdoor settings equally so think about investigate the amazing range of outdoor fabrics available. Fresh flowers are a great way to freshen up your spaces and with Toowoomba’s iconic Carnival of Flowers in full swing, very timely. Fake flowers have become quite realistic in recent years. However, our preference has been and always will for fresh blooms. Not only do they look more beautiful but there are proven benefits to your environment for having fresh flowers and plants inside the home. When arranging flowers simplicity wins on every occasion. Lillies always look fabulous and don’t require arranging, but anything en masse (roses, daisies) works well. Avoid trying to mix too many varieties unless you know how as it can be more difficult to pull off than you may realise. Many people enjoy a well-earned break at this time of the year. If you’re lucky enough to be visiting an exciting new destination for your holidays, keep an eye for any interesting artwork. A few select pieces can provide fresh ideas and help bring that holiday feeling back home. As always, we’re very happy to share our design advice. 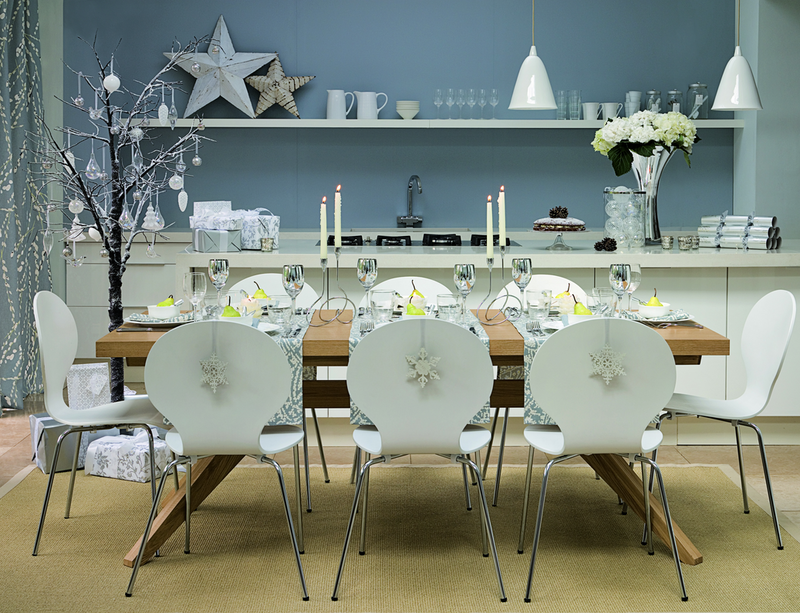 Visit the Beadles showroom this spring to find out more about how to freshen up your spaces. Just like the world of fashion, the interior design space is very much dictated by the seasons. Florals are always a strong trend in the warmer months and are deeply embedded in the psyche of Toowoomba. The iconic Carnival of Flowers is set to begin in just a few days and is the perfect place to look for inspiration. There are some luscious, beautiful florals out there but you don’t necessarily have to do your whole home in it. Having even a small expression of floral in key positions can really add a difference to any space. Many design houses are offering gorgeous floral fabrics and wallpapers in a wide range of both traditional and contemporary styles. 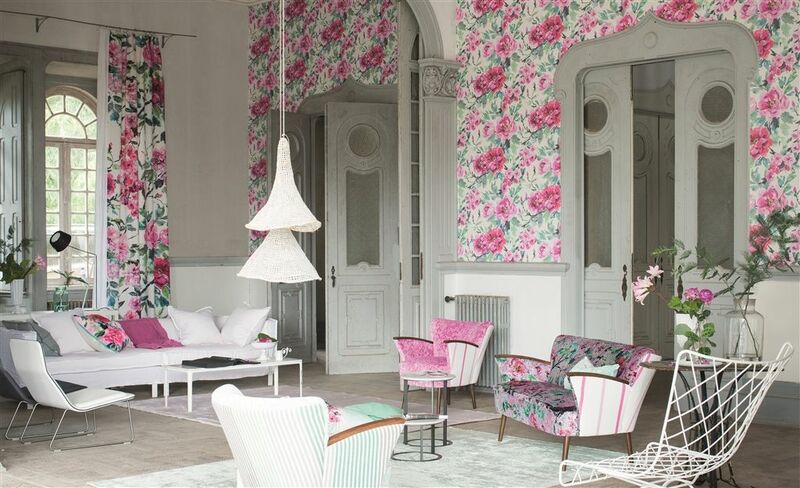 For a more contemporary twist, try the Shangri-La Lino Peony from Designers Guild Shanghai Garden Fabrics Collection. This modern floral has a hand-painted look with beautiful spreading magnolia flowers and inky graphic branches printed on a robust, textural linen blend. For a more classic option, Sanderson’s Peony Tree in Duck Egg/Cream boasts a stunning trail of peony blossoms in full bloom, painted in a beautifully traditional style that has a timeless feel. This design offers elegant sophistication for period homes and dramatic statements for contemporary interiors. Sanderson has long been regarded as a more traditional offering and some people may have avoided the brand because of its association with “grandma’s couch”. But that’s a mindset that’s beginning to change. The famous UK company is embracing a much more contemporary edge in recent years and offers some beautiful modern designs. Beadles stocks an extensive range of floral fabrics. Come and visit us in the showroom to get some advice on your next project. How many colours do you see? One person’s teal is another person’s aqua, or to some, just green, or blue! As interior designers, we see more colours than most, and when it comes to coordinating pieces in your home, variation in colour is very important. Everything from whether you want a grey, yellow or blue-based white on your walls to how you mix and match tones within a colour palette comes into play. Even for the experts, colour is very difficult to hold in your mind. If you have a furniture piece, wall colour or a fabric you’re looking to match something to, it’s best to take a sample shopping with you. At worst, a photo on your phone, but even then the colour can be quite distorted. We check the tones of fabrics, paints and finishes at least 4 times in varying aspects of natural light around our showroom. It’s a tedious, but you would be surprised at how different finishes can look in varying amounts of natural light. And this ensures we get it right for our clients. Colour blindness affects a great percentage of the population and is not just caused by an inherited faulty gene. Varying degrees of colour blindness can be caused by chronic illnesses, accidents, medications, environmental and industrial chemical exposure and age. So even people who don’t identify as being colour blind can see colours vastly different to others. That means for many of us, the decisions we make when we decorate may be significantly skewed. For assistance with coordinating colour at home or your workplace (internal or external), contact the experienced team at Beadles today. An individual touch is what sets your home apart from the rest. Cushions are one of the most easily customisable elements for your home. Better still, the sky really is the limit in terms of the availability of fabrics, trims, finishes and sizes. Individuality is the main reason custom cushions are so popular through our interior design practice. However, other arguments for custom cushions include fitting specific requirements or working within limitations eg. a lumbar cushion for a specific chair or built in bench seating where off the shelf cushions just don’t fit. Custom-made bespoke cushions are understandably not the cheapest option available to you, due to quality fabrics and/trims, sometimes large pattern repeats and Australian manufacturing, but they can be made as simply or as detailed as you like. As mentioned, size and shape are one of the driving considerations for clients choosing a customised option, as the options extend from regular square and rectangle cushions in any size, to bolsters, and even shaped cushions. And don’t forget your outdoor living spaces. Custom cushions are not just for the indoors. Outdoor fabric choices are more limited, even though new outdoor collections seem to be released each month. There are even outdoor trims available and we use a different fill to avoid mould and water retention. Beadles uses Australian local manufacturers who meet our high standards and are trusted to create a product of quality that is uniquely yours.